We are a parish of approximately 100 families. 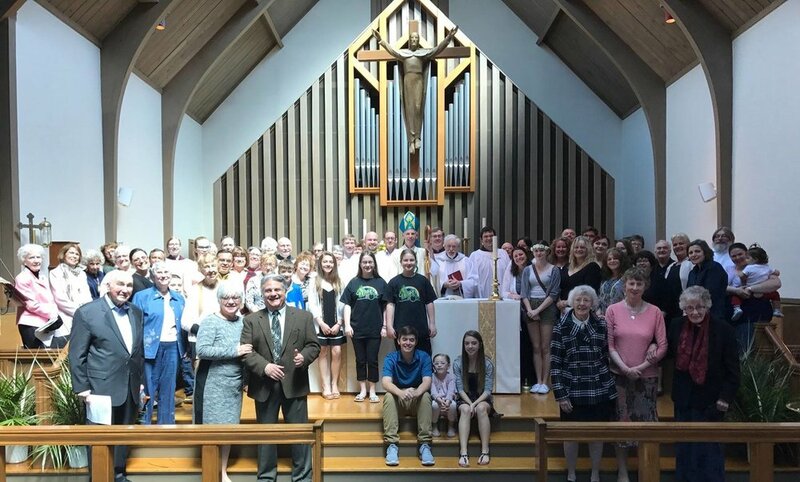 On any given Sunday, 50-60 people of all ages attend Mass, Church School, and Fellowship Hour (affectionately referred to as Coffee Hour by Episcopalians). We seek to find Christ in our worship, in each other in fellowship, and in our service to our community. We worship on Sundays and Holy Days. We offer weekly opportunities for Christian education and spiritual growth, for adults and children, and we have focused educational programs throughout the year, especially in Lent. We have developed ministries to those in need in our city, most notably Marie's Mission, our diaper distribution mission. And we celebrate with frequent dinners and other social events for our parish community, to share fellowship and mutual support. We participate in collaborations with the other missions and parishes in the city (now calling ourselves the Episcopal Church of Worcester), as well as ecumenical and inter-religious partner congregations. We believe in literally feeding the body as well as feeding the soul! You are welcome as you are: people of any race, ethnicity, nationality, income level, employment status, sexual identity, or gender expression are welcome. Even if you practice in another religious tradition, or are skeptical of religion, you are completely welcome to visit us to observe or participate as you are willing. Christ loves you as you are. So we welcome you as you are. St. Michael's is a parish of the Episcopal Church of Worcester, in the Episcopal Diocese of Western Massachusetts. As such, we are also part of the wider Anglican Communion, and we extend a special welcome to those who may also be members of other Anglican Communion churches from around the world. Please make St. Michael's your "church home away from home."